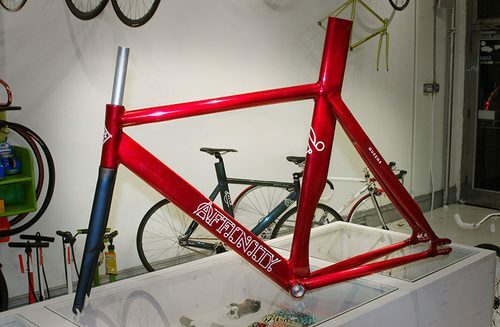 To help out the Tokyo Bike Messenger Association recoup their cost from hosting the CMWC this year, Affinity is donating a Kissena aluminum frame with a carbon fork and 4 steel Low-Pros. 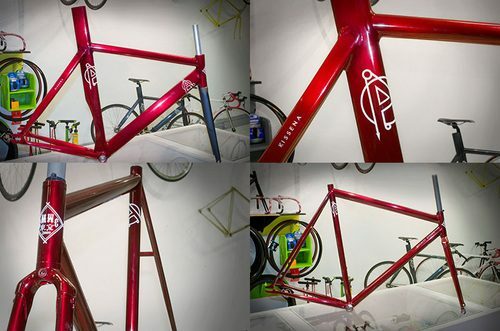 The frames have been custom powder-coated to match the CMWC Tokyo color and all proceeds are going directly to the TKBMA. The Kissena frame set is $899.00, and the Lo Pro’s are $500.00 f/f. All money raised will go to the CMWC fund. This is a great chance to help support CMWC, and for doing so you’ll be sporting the first Kissena or a custom Lo Pro.